When the weather gets warmer, Atlanta becomes alive. With an array of things to do, let’s not forget about “man’s best friend”. Atlanta is a great city for dog owners. With so many trails, dog-friendly restaurants, patios and dog parks, your dog can enjoy this weather with you. 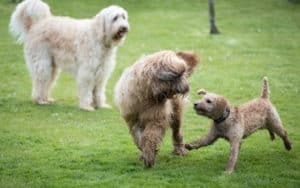 Below are some of the best dog parks in the area. Piedmont Dog Park – Midtown – Nearly 3-acres! This dog park is one of the few locations in Metro-Atlanta where dogs can run free without their leash. If you have a shy dog, don’t worry! this park has separate enclosures for large and small dogs. You and your dog will both enjoy your time at this park! Oakhurst Dog Park – Dekalb – This large, beautiful and shaded dog park is fully enclosed with a fence. It has a lot of seating areas to enjoy a lunch or drinks with your family while keeping an eye on your dog. This park also offers water fountains for your dogs, so remember to bring your doggy bowl! Atlantic Station Dog Park – Intown – This is a great park that is ideal for small dogs. This area is petite, just like the furry friends that roam this park. Fake fire hydrants and areas to play with toys will be sure to tire out the little ones, while they have some fun! For an extended list of dog parks, click here. ← Why Skyline Pest Solutions is Different!